Julian Maclaren-Ross (1912-64), that quintessential literary bohemian, claimed to dislike writing letters, yet he produced an unexpectedly large and engaging body of them, spanning his entire literary career. 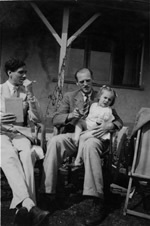 Besides illuminating his relationships with publishers, editors and radio producers, not to mention fellow writers such as Anthony Powell, his letters offer a fascinating insight into the literary milieu of that halcyon period when John Lehmann and Cyril Connolly wielded such influence. Like his previously published writings, his letters are wide-ranging in tone and subject matter. They can be formal, gossipy, observant, irreverent and amusing. Unlike the work for which he is celebrated, though, they can also be paranoid, irascible and disturbing in their monomanical intensity. Nowhere is this more evident in the fascinating correspondence that chronicles his dangerous obsession with George Orwell's glamorous widow, Sonia. 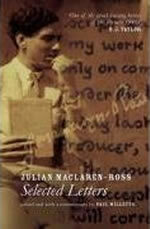 Suffice to say that Maclaren-Ross's SELECTED LETTERS are every bit as distinctive as the man himself. "...a very welcome addition to those of the collected fiction and memoirs that have already done much to revive his reputation."